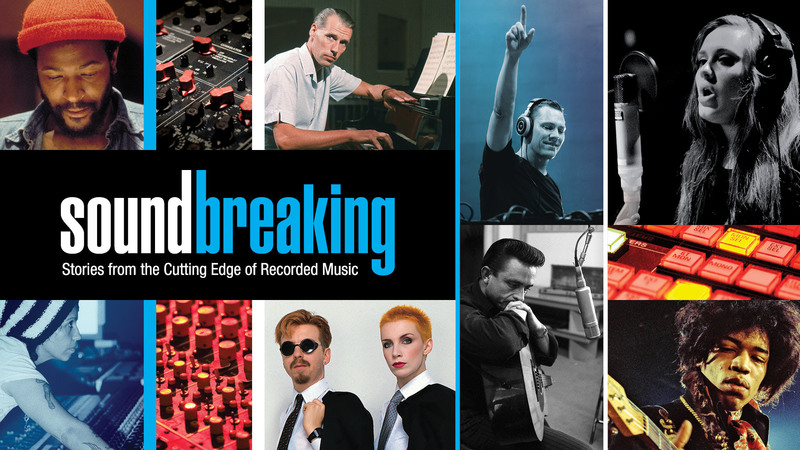 Soundbreaking makes a glorious binge-watching experience for anyone with an interest in music. It was broadcast on PBS in 2016 but is easier to watch on DVD during a week or two instead over the eight weeks of a broadcast schedule. The eight DVD set also has interesting “extras,” like Les Paul talking about Charlie Christian who, as the first electric guitarist in a big band, jump-started the instrument’s popularity. Another extra features Elton John in conversation with Sir George Martin, the legendary Beatles‘ producer. Episode 1: The Art of Recording examines the role of the producer as the link between how the musician hears the music in his head and what the listener will hear. 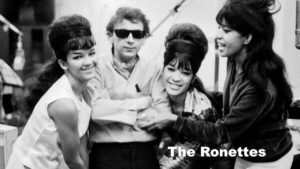 Legendary producers like Phil Spector, George Martin, Dr. Dre, Don Was and Rick Ruben all get their due. Some were coaches and some, like Spector, were tyrants, maybe even nut jobs, but their influences on music can not be denied. Episode 2: Painting with Sound takes the viewer from the vintage days when entire orchestras recorded into a single microphone directly onto a master record, then through tape, multi-track and digital recording, explaining along the way how each technology contributed to recording and ultimately tocreating music that could not be performed. The Beatles’ decision to stop performing live after their 1966 show at SF’s Candlestick Park was driven by their desire to make songs in the studio that could not be performed on stage. Episode 3: The Human Instrument spans the recording of voices, from the crystal clear to the down and dirty, and to the digital sleight-of-hand of Auto-tune. Annie Lennox, Amy Winehouse, Kanye West, Ben Harper and Cher are among the voices heard, analyzed, stylized, and in some cases, synthesized. Episode 4: Going Electric, from the electric guitar to synths, tells the story of how the technology of instruments themselves changed music. 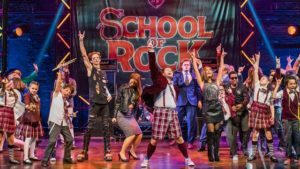 Think of the grand orchestras and the opera halls of acoustic yesteryear fitting neatly onto a hard drive, and how a magnum opus can now be composed by a kid in his bedroom. Episode 5: Four on the Floor refers to the 4/4 beat of most popular music, particularly dance music. This is where it’s easy to lose interest when watching this documentary on television since disco and electronic dance music are the most obvious examples of beat-driven music. But disco and EDM are only part of the story. 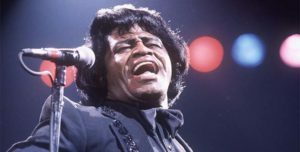 James Brown‘s contribution to beat-driven music, to cite one example among many, reminds us that this series is about recording music, rather than any particular style of music itself. Episode 6: The World Is Yours refers to sampling which, thanks to bad press from the music companies, has been pegged as stealing. Not so fast! 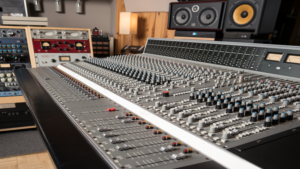 All music is built on music that came before it: even Beethoven borrowed snippets from other composers, as did most of the classicists, jazzers, bluesmen, rockers… you name ’em. 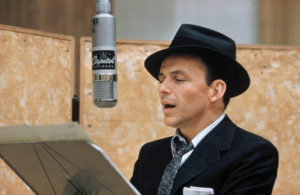 As this episode rolls through its examples, it is difficult to recognize what has been sampled amidst the overdubs, pitch changes and other reworkings. The doc is honest about when sampling becomes stealing, as when major sections of songs are lifted and presented with so little remixing that even the dullest ear will recognize their source. Episode 7: Sound and Vision, as the title implies, is about the marriage between music and movies, television, stage and other visuals beyond MTV. However, MTV does get a fair share of attention in this episode, particularly concerning what it took to get blacks, starting with Michael Jackson, and women, starting with Madonna, on the channel which, during its early years, didn’t look much beyond showing young white males to young white males. Episode 8: I Am My Music explains how consumption of music has changed over the years: ranging from 78rpm records, through 45rpm singles, LPs, cassettes, EPs, CDs and ultimately MP3s. One of the most interesting points in this segment is how the profit margins on CDs were so high that record companies, anxious to cash in, were releasing tons of CDs, few of which contained more than one good song. The point is that the record companies did more to kill their own business than Napster. The series is well-produced, well-edited, informative and packed with insights, interviews, songs and vintage photos. It’s also available through most of the public libraries in the Bay Area and is truly a binge-watch worthy of the name.